G20 countries account for 85% of global economic output, 80% of global trade and two-thirds of the world’s population. South Africa is the only African country on the G20. 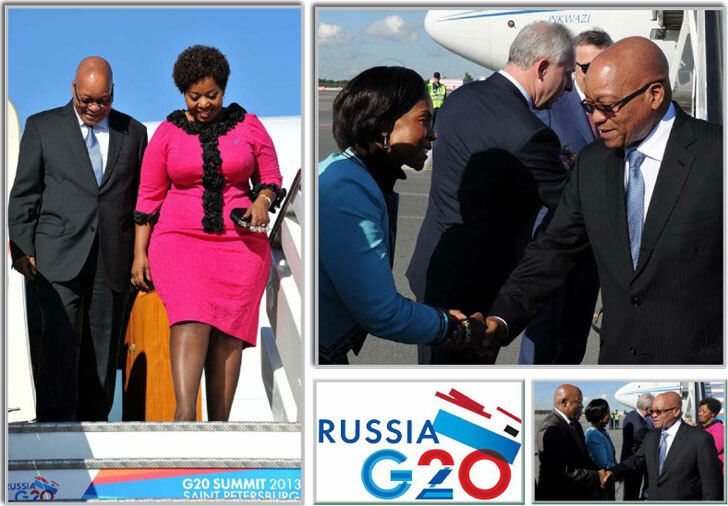 President Jacob Zuma led the South African delegation to the G20 Leaders’ Summit in St Petersburg, in the Russian Federation, from 5 to 6 September 2013. The summit took place at a time of increased turbulence in global financial markets, which has been brought about by speculation that the United States Federal Reserve would soon cut back on the $85 billion it has been pumping into the financial markets every month. Emerging economies like South Africa have benefitted from the actions of the Federal Reserve, as foreign investors have bought huge amounts of South African government bonds at fairly low yields and equities. Therefore, the prospect that the Federal Reserve will cut off these flows of funds has resulted in emerging-market currency volatility, which has been yet another reminder of the risks and the potentially destabilising and negative effects that policies and shocks in major economies can have on other countries and regions. It was envisaged that the summit would focus on a set of measures aimed at boosting sustainable, inclusive and balanced global growth, including the creation of decent jobs. A BRICS leaders’ meeting was also held on the margins of the G20 Leaders Summit. The meeting afforded BRICS leaders an opportunity to reflect on the progress made with regard to the implementation of the Durban Declaration, especially as it pertains to the new Development Bank and the Currency Reserve Arrangement. A statement issued following the meeting indicated that the leaders noted the recent developments in the world economy and emphasised the necessity for intra-BRICS economic cooperation. The Minister of International Relations and Cooperation, Maite Nkoana-Mashabane, undertook official visits to the Russian Federation and the Republic of Belarus on 2 and 3 September 2013. In Moscow, Minister Nkoana-Mashabane was hosted by her counterpart, Sergey Lavrov. In Minsk, she was hosted by Minister Vladimir Makei. In Moscow, the ministers signed Letters of Agreement on the establishment of a Russian Trade Representative Office in Johannesburg. Minister Nkoana-Mashabane, in her capacity as the Co-Chairperson of the South Africa-Russia Intergovernmental Committee on Trade and Economic Cooperation (ITEC), met the Russian ITEC Co-Chairperson, the Minister of Natural Resources and Environment, Sergey Donskoy, to review progress on South Africa-Russia ITEC issues and set priorities for the 12th ITEC session to be hosted by South Africa. In Belarus, the ministers reviewed progress made since the second South Africa-Belarus ITEC session held and set priorities for the third ITEC session to be hosted by Belarus in the last quarter of 2013. 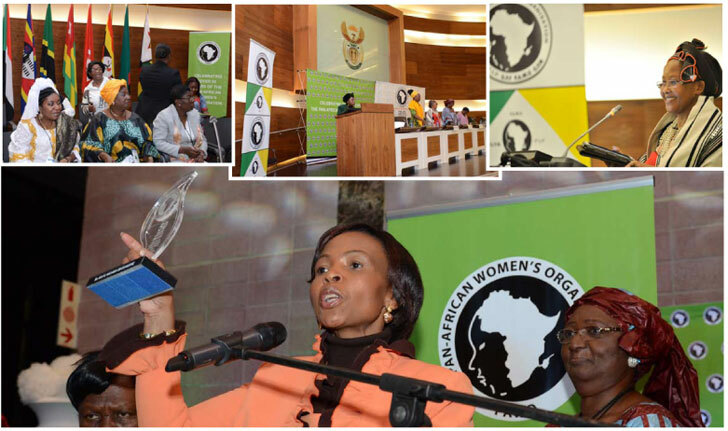 On 30 August, PAWO celebrated its 50th anniversary at the OR Tambo Building in Pretoria under the theme “African Renaissance: The Pan African Women’s Organisation’s Role”. Speaking at the event, the Minister of International Relations and Cooperation, Maite Nkoana-Mashabane, said: “PAWO encourages African people and nations to overcome the current challenges confronting the continent and achieve cultural, scientific, economic renewal as well as to end the violence, elitism, corruption and poverty that plague our African continent”. “Our task is to continue to work together for the realisations of an African Renaissance we can all be proud of, led by formidable women from across the African continent. PAWO’s anniversary must chart a way forward to achieving these goals that we all desire for the prosperity of our own continent. The visit will be utilised to strengthen political, social and economic bilateral relations and identify new areas of cooperation. 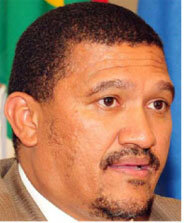 The Deputy Minister of International Relations and Cooperation, Marius Fransman, is visiting Peru, Ecuador, Colombia and Cuba from 2 to 12 September 2013. In Cuba, Deputy Minister Fransman will co-chair the 10th South Africa-Cuba Joint Consultative Mechanism (JCM) with First Deputy Minister, Marcelino Medina. The JCM, established in 2001 to coordinate cooperation between the two countries, convenes annually. The JCM will focus on all aspects of bilateral political relations. Deputy Minister Fransman will also participate in the Public Participation Programme as mandated by Cabinet. He will deliver a public address relating to South Africa’s foreign policy, aimed at a wide audience of Cuban academics, friends of South Africa and the South African students studying in that country. 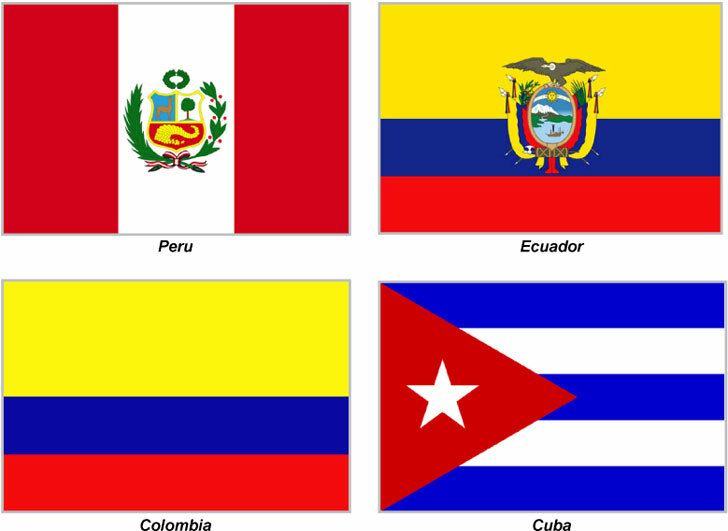 While Peru, Ecuador and Colombia have embassies in Pretoria, South Africa is represented residentially by an Ambassador in Peru, who is also responsible for Ecuador, while South Africa’s Ambassador in Venezuela is accredited to Colombia. Deputy Minister Fransman will in these countries not only focus on political relations, but also on economic relations. The Deputy Minister will also engage with ministers and institutions responsible for social development programmes. In Peru, Deputy Minister Fransman met his counterpart, Fernando Rojas, as well as the deputy ministers of mining and of foreign trade. In Ecuador, he held talks with the Deputy Foreign Minister, Marco Albuja, the President of the National Assembly and the Secretary of the Union of South American Nations. He also paid a courtesy visit on Foreign Minister Ricardo Patiño. In Colombia, the Deputy Minister will meet with his counterpart, Monica Lanzetta, and hold discussions at the Department of Social Prosperity, where he will be briefed on infrastructure development and trade opportunities. In Peru and Colombia, the Pacific Alliance was on the agenda. It is a mechanism for the economic and commercial integration of Chile, Colombia, Mexico and Peru, formally established on 6 June 2012. The Pacific Alliance makes the markets of its member states even more attractive to the rest of the world, particularly the Asia-Pacific region. Several other Latin American countries have indicated interest in joining the alliance. “South Africa is Switzerland’s most important trade partner and export market in Africa and is also a priority country for research cooperation.” – Swiss Foreign Ministry. The Swiss Federal Councillor for Economic Affairs, Education and Research, Johann Schneider-Ammann, is leading a mission to South Africa this week aimed at exploring cooperation between the two countries in economic affairs, science, research and innovation. Following the fourth meeting of the Swiss-South African Mixed Economic Committee, which took place in Pretoria on Wednesday, the delegation hold discussions with the Minister of Trade and Industry, Rob Davies; Science and Technology Minister, Derek Hanekom; and Higher Education and Training Minister, Blade Nzimande, as well as meet with local businesses and institutions working in education, research and innovation. Over 100 Swiss companies have branches in South Africa while some also operate large production facilities there. Many of the most important Swiss businesses have a long-standing presence in South Africa. According to the ministry, Swiss direct investments in South Africa amounted to over CHF 2,2 billion at the end of 2011, making Switzerland the fifth-largest country of origin of foreign direct investment in South Africa. At the end of 2011, Swiss firms in South Africa employed almost 34 500 people. South Africa is also one of eight non-European priority countries in Switzerland’s education, research and innovation policy. Following the signing of a bilateral agreement on scientific and technological cooperation in December 2007, the Swiss-South African Joint Research Programme was established. “The collaboration will also offer leisure travellers a variety of holiday options, as well as business travellers’ access to multiple business centres. The operation is vital in that customers travelling to and from various parts of Africa, South America and countries in the east are able to use SAA’s Johannesburg hub as a convenient connection point to various parts of the world.” – SAA’s commercial acting general manager, Manoj Papa. South African Airways (SAA) and Brazilian carrier TAM Airlines have signed a codeshare agreement to increase access to destinations in both countries for both leisure and business travellers. Destinations in Brazil that will be accessible through the agreement are from São Paulo to Rio de Janeiro, Porto Alegre, Curitiba, Brasília, Salvador, Florianopolis, Iguaçu Falls, Recife and Belo Horizonte. “Alliances and partnerships of this nature form a crucial part of modern airline management, which is about providing convenient connection for customers to as many destinations as possible without necessarily using your own resources,” SAA’s commercial acting general manager, Manoj Papa, said. They commend those who not only exercised courage and leadership to rise from the ruins of environmental disasters, but more importantly, those who worked tirelessly to prevent such crises, and established measures to brace for their impact. The 2013 edition of the Green Star Awards were presented on 2 September 2013 in Geneva, Switzerland, as part of the 20th anniversary celebrations of Green Cross International. The biennial Green Star Awards recognise individuals, organisations, governments and companies who demonstrate achievements in prevention, preparedness and response to environmental emergencies. The United Nations (UN) Office for the Coordination of Humanitarian Affairs, Green Cross International and the UN Environment Programme are the joint organisers of the awards. 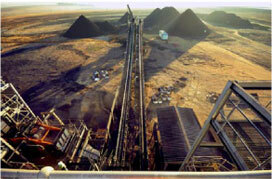 Xceed is an Australian public company primarily involved in the exploration and development of thermal coal projects in South Africa. It will become a wholly owned subsidiary of Keaton Energy and will be unlisted from the Australian Securities Exchange once the deal is concluded and regulatory conditions have been fulfilled. South Africa’s Keaton Energy has made an offer to acquire Australian-listed Xceed Resources’ coal projects in Moabsvelden, Roodepoort and Bankfontein in South Africa’s Mpumalanga province for approximately R183 million. The deal is expected to significantly boost Keaton Energy’s annual Eskom-quality coal output, as well as offer the firm the opportunity to enter the export thermal coal market. Only France’s Fabien Barel in 2004 and United States’ Greg Herbold at the very first World Championships in 1990 had previously won the downhill title on home soil. Minnaar did it in his home town. South Africa’s Greg Minnaar gave the big home crowd what they had been hoping for on 1 September, the final day of the 2013 UCI MTB & Trials World Championship, when he blasted to victory in the men’s downhill race at Cascades MTB Park in Pietermaritzburg.